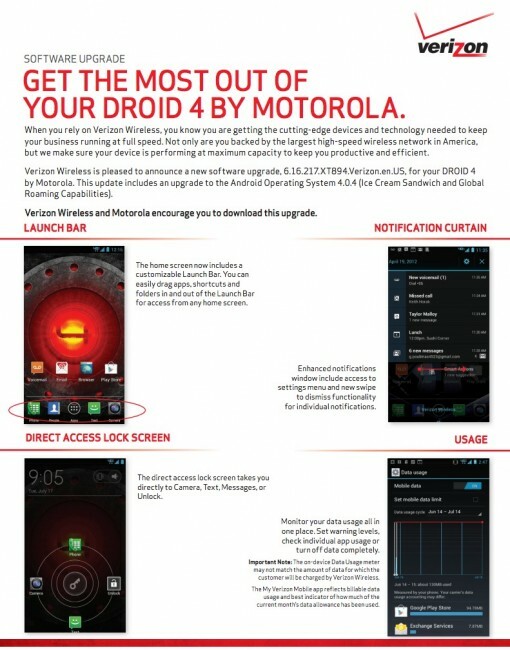 Verizon has approved the Ice Cream Sandwich update for the DROID 4 this morning. A soak test for the update was announced last week, but we have yet to hear if it actually rolled out to any participants. What we do know, is that when Big Red approves something like this, it usually starts to appear on devices within a week. 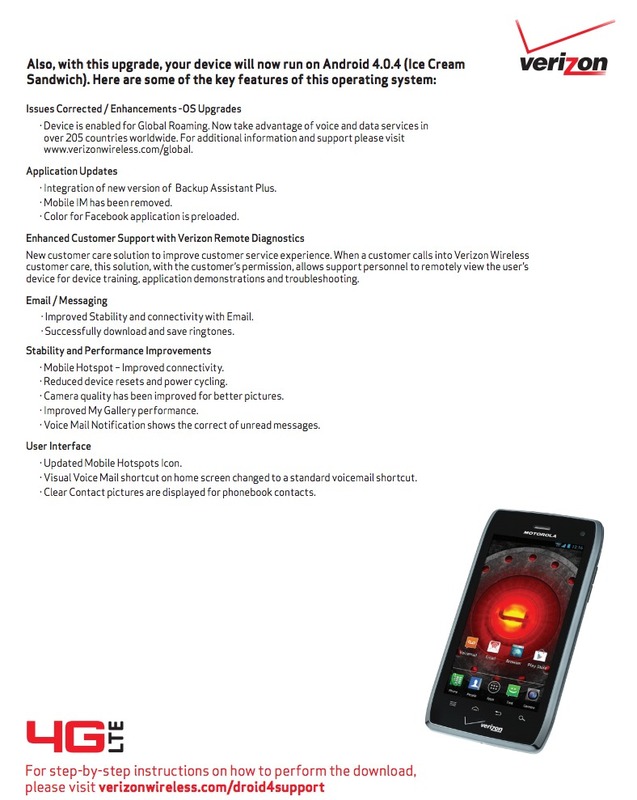 Aside from the benefits that come with Android 4.0, you will notice better quality pictures, improved gallery performance, global roaming capabilities, less force closes and restarts, and Verizon’s Remote Diagnostics tool. Update: The soak test for the device is arriving today. Assuming that goes well, it should be only a matter of days before the public gets it. The build number is 6.16.217. 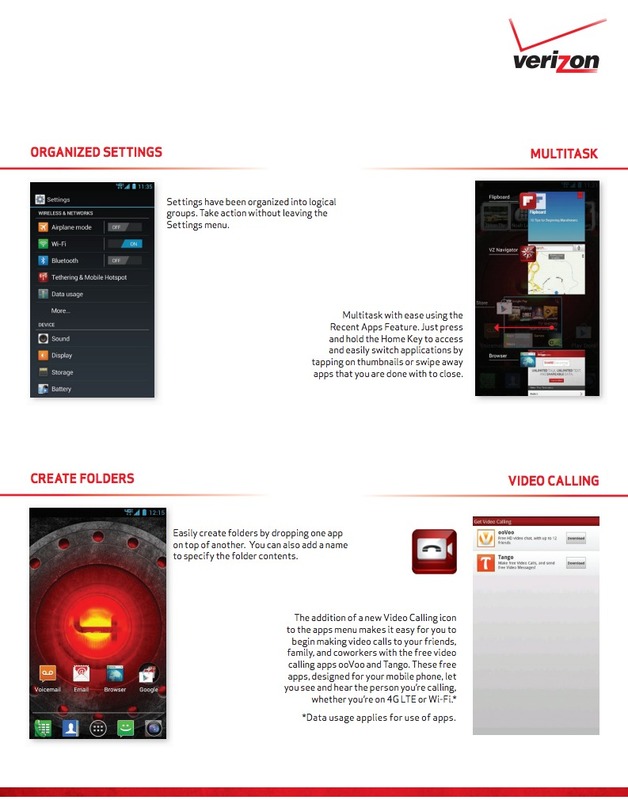 The Android version is 4.0.4. The update is 364MB in size. A full change list is below.